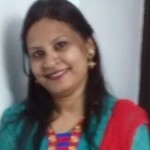 Sujata Nangwaria is a Quality Assurance Engineer II in 3Pillar Global’s Noida office. She has 3 and a half years of experience in software testing and likes to work with manual testing and accessibility testing. She has extensive knowledge in using various assistive technologies, including WCAG Standard 2.0, the Texas guidelines, and Section 508. Sujata also has experience in the mobile financial and healthcare domains, and is always trying to gain more knowledge of the best practices in software testing.